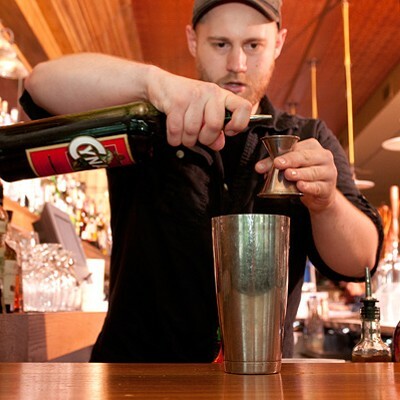 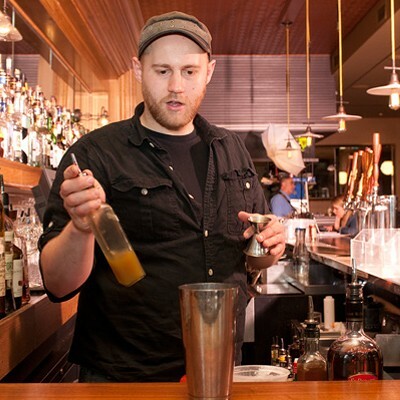 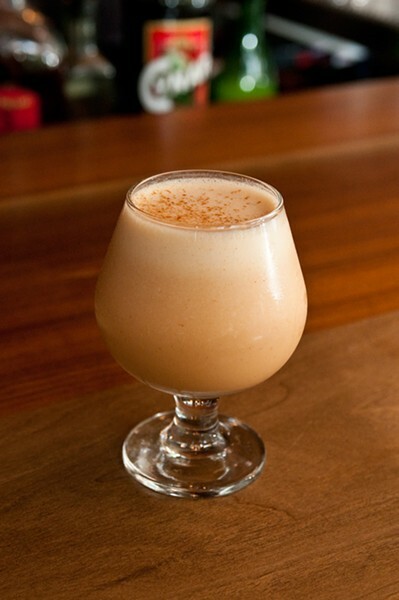 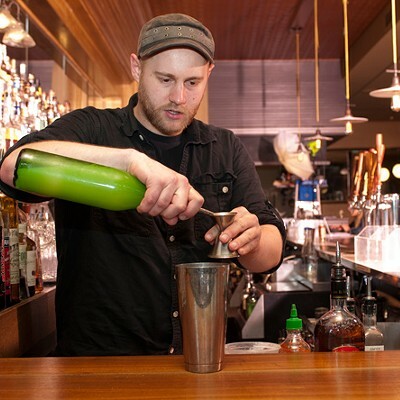 Barrelhouse Flat bartender Mark Brinker crafts a spicy, boozy breakfast shake with the rooster sauce. 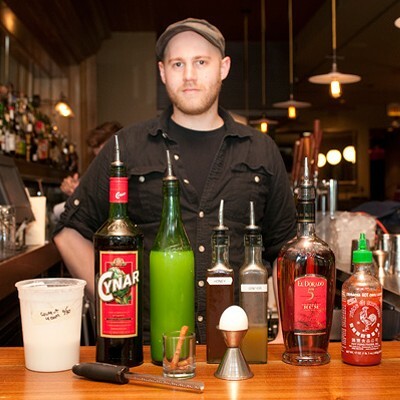 Challenged with sriracha by his Barrelhouse Flat comrade Jess Keene, bartender Mark Brinker started "playing around with a bunch of different stuff"—he notes that the rooster sauce works especially well in beer cocktails. 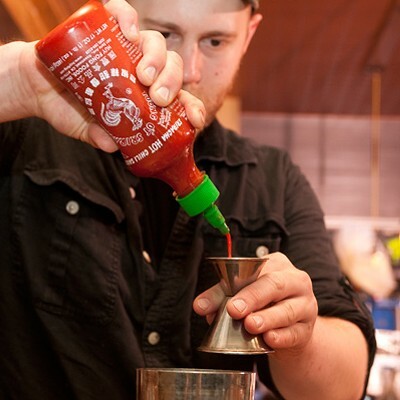 But for his final concoction he ended up using "a bunch of fat" to neutralize some of the sriracha's spiciness while preserving its flavor. 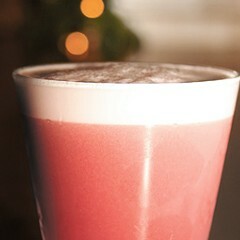 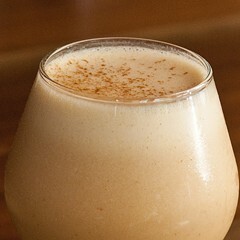 The result, a rum-based drink made with whole egg and coconut cream, is "almost like a spicy milk shake," he says. 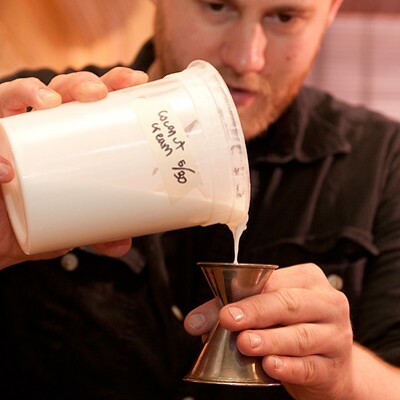 View a slideshow of Mark Brinker making a sriracha cocktail. 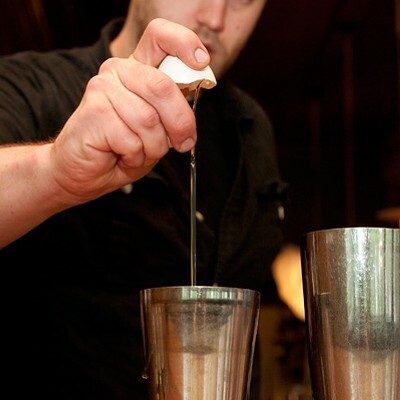 Shake all ingredients together without ice, then add ice and shake vigorously. 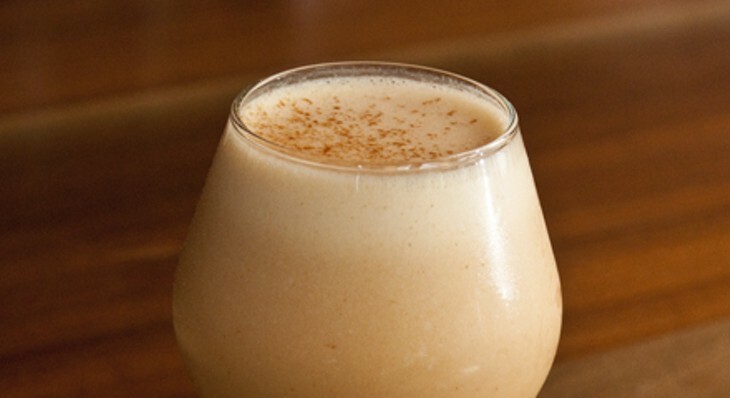 Strain into a snifter and garnish with grated fresh cinnamon. 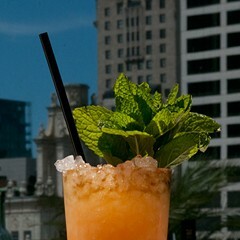 Brinker has challenged Ingi Sigurdsson, head bartender at The Terrace at Trump, with sweet potato. 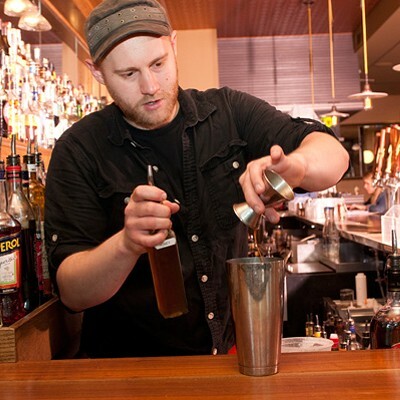 Ingi Sigurdsson of Terrace at Trump strives to avoid "the pumpkin pie effect." 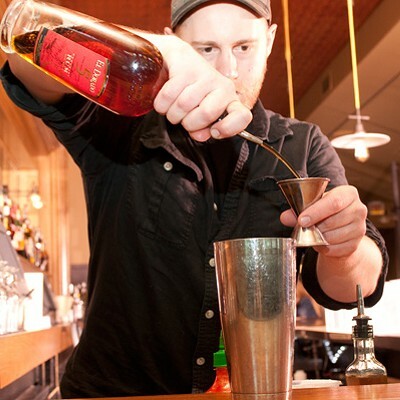 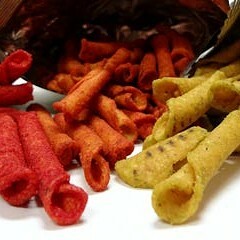 Jess Keene of Barrelhouse Flat finds one good use for junk food.